On Saturday Shaun Thong and Marchy Lee’s #33 Eva RT Unit-01 GTR by X Works made into Top 16 in Qualifying 1 with Thong setting a 1:26:272 which put the #33 Nissan GT-R GT3 Nismo in 7th place. Lee then qualified 15th in Q2 which was ultimately the starting order for Sunday’s main race out of 29 GT300 entries. However Sunday shows a complete opposite of weather situation, the track was hampered by continuous downpour and cold temperature. Lee started the race and green flag situation did not last long until front runners in the GT300 class caused a 7 laps long safety car period, shortly after the restart Thong’s race ended in lap 13 with Lee behind the wheel after a multiple car accident involving #10 GT-R, #7 Aston Martin, #48 GT-R and the #33 Eva Unit-01 GT-R by X Works. The race was eventually red flagged for the second time after the restart following another accident involving the an AMG GT3, the race was ultimately red flagged and stopped due to the heavy downpour and half points were rewarded for the result. Shaun Thong will make his debut in the Japanese Super GT Championship in GT300 class with Hong Kong team X WORKS alongside Evangelion Racing and Nismo. X WORKS is also the first China Hong Kong team to enter Super GT. Super GT, originally titled as the Japan GT Championship, is a grand touring car championship established in 1993, After 25 years, Super GT is now one of the most competitive GT championships worldwide with over 400,000 annual spectators and 200,000 online followers per race. Following the entry in Super GT and the partnership with Nismo, X WORKS also announced their collaboration with Evangelion Racing today. 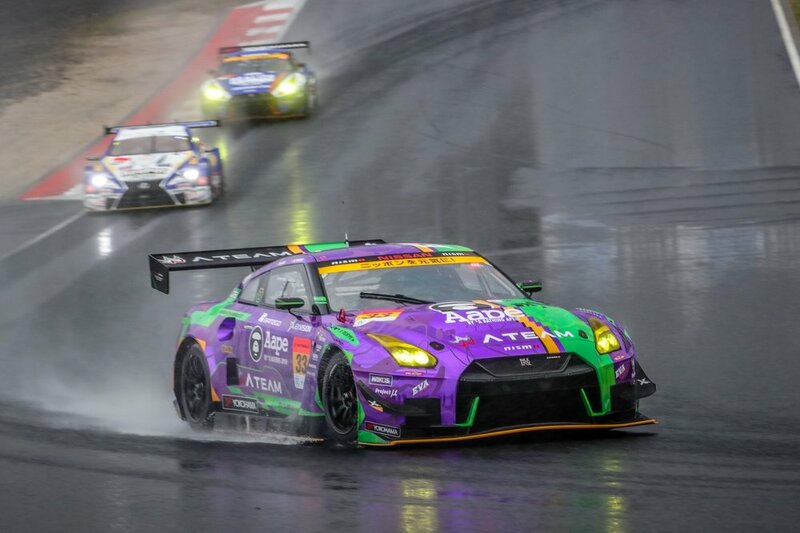 The X WORKS Nissan GT-R GT3 entered under race number #33 will be named Evangelion Unit-01 and coloured in the signature purple and green colour scheme. X WORKS, Shaun Thong and his Co-driver Marchy Lee will continue to explore the 2019 Spec Nismo GT-R GT3 in the Super GT Official Test in Okayama Circuit on March 16 - 17 after a very successful and positive rollout test in Twin Ring Motegi last week. The scoreboard might not show it, but Phoenix Racing Asia’s debut with the second generation Bentley Continental GT3 delivered a number of positives for Hong Kong’s Shaun Thong, the former Blancpain GT Series Asia ‘Silver Cup’ champion putting in an impressive performance in his first drive for the British marque. “It was a tough weekend overall, but we learnt a lot as a team, and I think the M-Sport engineering team also learnt quite a deal as well,” Thong admitted. Alongside factory driver Jordan Pepper - a driver with significant Bentley mileage under his belt - Thong was tasked with using his extensive experience at Shanghai to help the team build a solid benchmark for data, and he was quickly up to the pace of the car, but unfortunately, with a full field of experienced teams and little clean air to develop the car properly, both Thong and Pepper were forced to settle for what seat time they could get. “Ultimately we had a lot to process - in part, because the car is new and hasn’t competed in conditions like those we encountered at Shanghai,” Thong explained. “The weather conditions we experienced in the UK made the car very drivable, whereas in Shanghai we spent much of our time trying to maximise the performance of the car under low grip and lower temperature conditions than we’d experienced there in the past. “It was frustrating to be chasing our tails when we’d tested so strongly in the UK, although to be fair, Marchy [Lee] made it very clear coming in, that we shouldn’t expect the car to be a podium contender straight out of the container. “It will be interesting to see how we fare at Ningbo, which is a very different circuit to Shanghai, but our involvement in the final two rounds really was to be a glorified test session allowing the drivers and the teams to get comfortable with the car and prepare for the 2019 season. 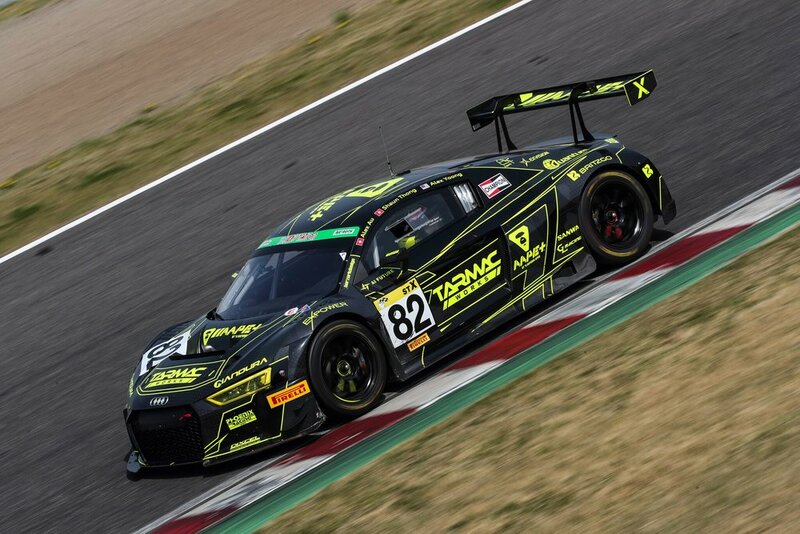 In Just the second outing of Shaun Thong's Super Taikyu Series debut, he and his No.82 squad alongside Alex Yoong and Alex Au scored their first podium finish in 2nd place after 3 Hours of battle in Sugo Sportsland. Thong took over the car from Yoong after an early Full Course Yellow was called out with just 25 minutes into the race. With the early driver change strategy Thong rejoined the pack in 5th position with fresh tires and full fuel loading. Within the stint Thong quickly climbed up the order and took the overall race lead by Lap 48 whilst lapping the fastest lap in the process. However shortly after the driver change to Au while leading, the lead was lost to the rival when their professional driver hunts down Au towards the closing stage. Thong and his No.82 squad currently stand 4th in the Championship with just 9 points behind the leader. Round 3 of the championship will be the Fuji Speedway 24 Hours from 5/31 - 6/3 with double points awarded. Beijing, April 10, 2018 – Audi Sport customer racing Asia has confirmed its driver pool for 2018. The five-driver line-up consists of Audi Sport R8 LMS Cup professional mentors Adderly Fong and Cheng Congfu and the region’s most exciting young talent: Estonia’s Martin Rump, Hong Kong’s Shaun Thong and Mitch Gilbert of Malaysia - all race winners with Audi in the region. The drivers will receive support to compete within local teams for championship titles in the region’s leading GT3 series. Fong won the Audi Sport R8 LMS Cup in 2013, and remains one of Asia’s leading drivers. He was the first-ever driver from Hong Kong to test a Formula 1 car and is a Pirelli World Challenge race winner. This season Fong’s mentoring role with the Audi Sport R8 LMS Cup will see him set benchmark data and provide coaching for the series’ privateer line-up. Along with these duties, he will team up with long-time teammate Andrew Kim at Absolute Racing for their assault on the Blancpain GT Series Asia title in the Pro/Am category. Fellow Audi Sport R8 LMS Cup professional mentor Cheng is China’s most successful circuit racer and has been an ambassador for the brand in his home country for many years. A star of the Audi Sport R8 LMS Cup since 2013, Cheng will also combine his Cup mentoring role with a Blancpain GT Series Asia campaign. Cheng will line up alongside Rump in a silver/silver pairing gunning for overall GT3 glory for Absolute Racing. Rump’s pairing with Cheng is the next step on his development process with Audi. The Estonian kicked off his Asian motorsport career in style by winning the Formula Masters China Series, a Volkswagen Group China-run, Audi-supported junior single-seater championship. This saw the youngster graduate to a full Audi Sport R8 LMS Cup season in 2016, when he impressed with four race wins. Last year the 22-year-old made his mark in the China GT Championship with three race wins along with full seasons in the Audi Sport R8 LMS Cup and Blancpain GT Series Asia, where he recorded a Pro/Am race win at the season finale. Mitch Gilbert stormed into the spotlight in 2017 in his breakout season with Audi, finishing second in the Audi Sport R8 LMS Cup and missing out on the Blancpain GT Series Asia title by just a single point. Out to capture the overall Blancpain GT Series Asia championship this time around, Gilbert reunites with Audi India’s Motorsport Brand Ambassador Aditya Patel at OD Racing Team WRT. At just 22 years-of-age, Thong is an exciting young driver whose career is demonstrably on the ascent. Part of the Audi Sport customer racing Asia Young Driver Development programme for the last four years, which included a season in the Audi Sport TT Cup and two appearances in the first all-Asian squad for the 24 Hours of Nürburgring, Thong won the GT Asia Series Pro/Am category in 2016. Thong then went on to win the Blancpain GT Series Asia Silver Cup in 2017 while also recording impressive results in his first full season in the Audi Sport R8 LMS Cup. This season Thong is making his debut in Japan’s Super Taikyu Series with Phoenix Racing Asia alongside triple Cup champion Alex Yoong of Malaysia and long-time Audi racer Alex Au. Shaun Thong and his Phoenix Racing Asia team-mates made their Dubai 24-Hour debut with one of the strongest lineups of Hong Kong stars ever assembled, contesting the twice around the clock classic in the new Audi R8 LMS GT4, the five icons crossing the line over a lap up on the field with an almost faultless run before being handed a post-race penalty for a driver grading issue, dropping them to second. Joined by his mentor and Asian GT team-mate Marchy Lee, motorsport pioneer Charles Kwan, and established Hong Kong GT stars Darryl O’Young and Adderly Fong in what was arguably the most experienced and successful driver lineup in the history of Hong Kong motorsport, the team were quickly on top of the new R8, despite the fact that it was a markedly different car to drive than the GT3 R8. Starting from fifth in class after a sterling effort by Marchy Lee in qualifying, the team suffered an early setback with a deflating tyre, dropping them back to tenth before fighting back to lead the field by the 12-hour mark, the five-man team consolidating their advantage to be more than two laps up throughout the closing stages of the race. Despite a comfortable lead, a minor glitch in the paddle-shift system forced two early stops to replace the steering wheel, whilst Thong also suffered a tyre deflation, but apart from those setbacks, the car ran flawlessly for the full 24-hour distance. “I completed three double-stints in the end,” Thong confirmed. “I got in for my first stint as the sun went down, and that was interesting because the track lighting wasn’t all that great so there were plenty of blind spots, but I enjoyed it. I did a second double-stint just after midnight, then another one early in the morning, and by that stage we were well in front, but despite the best efforts of Marchy, Charles, Adderly and Darryl, we were penalised post-race for an infringement which none of us expected. “It turned out that international driver gradings issued at the end of last year had changed for one of our drivers, and that classified them as being unable to complete more than a certain time behind the wheel, they completed around 20-minutes more in the end, so that’s what the penalty related to, frustrating that it wasn’t made obvious before the race, but those are the rules. Ultimately we dropped back to second behind the other Phoenix Racing Audi, so it was still a 1-2 finish for the team. For Thong his focus now turns to the forthcoming season, with a number of announcements due in the coming weeks about his 2018 schedule. Having secured the Silver Cup trophy in Paris just days before for his result in the 2017 Blancpain GT Series Asia, Hong Kong’s Shaun Thong was fired up for his return to Japan for the second round of the 2017/2018 Asian Le Mans Series behind the wheel of the Taiwan Beer GH Motorsport Ligier LMP3. Hot off their second-placed finish during the season-opener at Zhuhai in late October, Thong and team-mate Hanns Lin were looking for a strong haul of points as they pushed for the LMP3 series lead heading into the Christmas break. Joined in Fuji by Chinese Formula 3 driver Ye Hong Li, the trio struggled through practice and qualifying with a string of technical challenges, the last of which kept them from recording a single lap in qualifying, forcing them to start rear-of-field for the 4-hour Fuji endurance event, something which ultimately didn’t phase Thong. Lin started the green, red and white Ligier JS P3, moving up the order to hand the car to Thong during the first stop within striking distance of the leaders. With their title rivals in the KCMG LMP3 finding trouble early, Thong knew that he was in a position to not only strike at top step of the Fuji podium, but also be in a position to lead the championship at the mid-point of the season. His stints were inspiring, the 22-year old clearly the fastest LMP3 driver on the circuit, at times more than a second a lap faster than his rivals, his best coming just prior to the two hour mark of the race, where he’d opened up a gap of almost a minute and a half over his nearest rivals. With a bit over an hour to go, he hit pit lane to hand the car to Ye to complete the four-hour journey, but sadly the dream result fell just 20-minutes short, a broken drive-shaft ending their run after recovering from a drive-through penalty for a pit lane infringement late in the race, dropping them from a certain podium finish. “That’s motorsport sometimes, there’s not much you can do about it,” Thong lamented. “I drove as well as I could have done during my stint to bring us to the lead after starting last, so it shows great promise from the car. Endurance racing can often be brutal - so much work from so many people, only to have a mechanical failure to bring it all to an end within striking distance of the finish. “For now the focus is on Buriram in Thailand in January - another circuit I really enjoy - to go after the top step of the podium and get back into the title race. Hong Kong’s Shaun Thong enjoyed little time to celebrate his recent Silver Cup trophy in the inaugural season of the new Blancpain GT Series Asia championship, with a move back to prototype endurance racing as part of the Taiwan Beer GH Motorsport LMP3 team in the four round 2017/2018 Asian Le Mans Series. Joining once more team-owner Hanns Lin in the GH Motorsport Ligier JS P3 LMP3 - this year in the colours of Taiwan Beer - the pair were looking to improve on their 2016/2017 results which provided Thong with two podium finishes from the three events he contested, and a top ten finish in the championship. The opening round of the 2017 season kicked off on a circuit at which Thong felt right at home, having competed for much of his motorsport career on the Zhuhai circuit - affectionately considered the ‘home’ circuit of Hong Kong-based drivers - the multiple GT3 race winner having actually claimed victory in the very first season of Asian Le Mans back in 2013 as a - then - 17-year old on his debut in an LMP2 car. This time around though, his focus was LMP3 and as he had done all season in the Blancpain GT Series Asia, he was immediately one of the fastest drivers on the circuit running consistently inside the top three fastest cars in practice, before the team qualified a little further back in the field after a technical issue in the timed session to set the starting grid for Sunday’s 4-Hour race stalled their forward progress. Despite starting fourth in class, Hanns Lin was quickly through to the lead of the LMP3 field ahead of the first pit stop, in the process moving into fifth outright behind the much faster LMP2 cars. Thong then set about extending their lead as soon as he hit the circuit, but almost immediately was forced to serve a drive through penalty for a full-course-yellow infringement incurred ahead of the stop. That dropped the team back into the sights of the pole-sitting KCMG entry, which has been able to turn much faster times than the bulk of the field, and despite Thong’s reputation as one of the fastest drivers on Asian soil, the #18 entry was able to close down his lead, taking back the top spot once Thong came in for a late fueling stop ahead of the chequered flag - the #11 team crossing the line in position seven and second in LMP3. “It was fun being back in a prototype, they’re an enjoyable car to drive,” Thong admitted afterwards. “Really second today was the best we could have hoped for short of a problem for the #18 car, it was so much faster than the rest of the LMP3 cars that it was in a class of its own. That said I’m happy that I was comfortably the second fastest guy in an LMP3 car, so all things considered, showed that we are more than capable of winning against the bulk of the field. For the second season in a row, Hong Kong’s Shaun Thong has taken out one of the most prestigious GT3 titles in Asia, winning the ‘Silver Cup’ title in the Blancpain GT Series Asia alongside team-mate Marchy Lee. Coming into the Zhejiang championship finale, Thong and Lee held the outright points lead, and with solid experience from their circuit debuts just a week prior during the final round of the Audi R8 LMS Cup, both were immediately on the pace in practice, however inclement weather disrupted the progress of all teams as rain intensified across the race weekend. A solid fourth placed finish in the opening 60-minute race saw the Audi Hong Kong pairing lead into the final round of the season by a single point, but within minutes of the final race of the season getting underway, the popular 21-year old was turned around by their title rivals team-mate, dropping him well down the order and with lots of work ahead of him. From there both he and Lee charged through the field as often the fastest car on the circuit, but as the 60-minute mark approached, the team crossed the line in sixth position whilst their outright title rivals finished ahead of them to drop the #5 Audi back to third overall in points, an agonizing three points from the top spot. Whilst disappointed not to have converted their strong pace to another podium result, the team were awarded the ‘Silver Cup’ as the most successful silver-rated driving combination in the championship. The award adds to the ‘Pro-Am Cup’ title Thong claimed in the 2016 GT Asia Series, a season where he and Lee also recorded two impressive season victories as they became the outright runner-up in the championship, their 2017 title adding further weight to their profile as the leading all-Asian GT3 team in the region. “I’m disappointed to be sure, especially to be turned around by our title rival’s team-mate in a battle for position whilst still leading the championship,” Thong admitted. “Regardless of intent, it shouldn’t have happened, not with a championship on the line. I’d made a great start in the wet and passed him, but he put the nose down the inside at turn nine and around I went, fortunately without hitting anything, but that’s not the point. We’d managed to put ourselves in a position to win the championship without having made that kind of contact at all through the year - they were penalized for it post race, but by then it was effectively game over. “To win the ‘Silver Cup’ is a great honour though, especially against such intense competition, it’s always nice to add something like that to the resume. It was also nice to go wheel-to-wheel against some of the best GT3 drivers in the world, and show that I was equally as competitive. Being faster than Maxi Buhk (rated globally inside the top ten best GT3 drivers of 2016) in the opening race in identical race conditions was satisfying and shows that I’m getting to the stage where I can compete at the very top level and be capable of winning. After ten challenging rounds on Asia’s leading circuits, Hong Kong’s Shaun Thong leads the competitive Blancpain GT Series Asia championship with two races remaining after a dominant display at Shanghai International Circuit last weekend, an event which handed he and team-mate Marchy Lee their second win of the season. Thong was full of quiet confidence coming back to the home of the Chinese Formula 1 Grand Prix just two weeks after competing there as part of the Audi R8 LMS Cup, and despite inclement conditions which saw almost every session conducted in rain, he knew that the #5 Audi team would be in a position to challenge for the championship points lead despite coming in 33 points down on their title rivals. From the outset it was clear that in any condition, the Audi R8 LMS GT3 was the car to beat, Thong and Lee and their Phoenix Racing Asia team-mates Alex Yoong and Alex Au were right in the mix at the front of the field, whilst their Audi R8 LMS Cup rivals Franky Cheng, Alessio Picariello, Mitch Gilbert and Martin Rump were also in the leading pack. Qualifying saw Marchy Lee again battling at the front of the field in his session, to claim a second row start, whilst for Thong, he would again qualify faster than his mentor, but would ultimately start the second 60-minute race from the third row whilst their title rivals in the Mercedes would start further back. Both team and drivers knew that this was their chance to turn the tables and press for the championship points lead.. From there they were almost unstoppable. On a damp track, Lee stormed off the start after the team elected to swap to slick tyres on the grid, pulling alongside the leaders on the run into turn one and just getting the nose of the re-liveried Audi Hong Kong Audi to the front before the pack forced him wide and back to eighth by the exit of turn three. From there the Hong Kong veteran forged his way back through the field to pit in second place, the team stopping for what seemed like an eternity with the addition of five extra seconds success as a penalty for their Fuji podium last time out. Despite that Shaun Thong charged out of the pits to be third and catching former Audi R8 LMS Cup rival Additya Patel with just under 30-minutes still on the clock. Patel though gifted the 21-year old with an opportunity after spinning on the wet astro-turf on the exit of the final corner as Thong closed in giving the #5 team second. That soon became the lead after a drive-through penalty was handed to the race leader, handing Thong a lead he would not soon relinquish. Win #2 for the season and a 25-point addition to their points tally saw Thong and Lee move to within eight points of the championship points lead, their victory celebrated too in Ingolstadt (Germany) after a podium lock-out for Audi. Starting the car for the second Shanghai race, Thong was faced once more with treacherous wet conditions, but despite wanting to challenge the lead pack, he drove a conservative stint to hold position ahead of the compulsory pit stop to hand over to Lee. Again forced to pit longer than their rivals - ten seconds this time due to their round nine victory - Lee battled hard to work his way from eighth to fourth, but was ultimately forced back to fifth in the final laps, mindful of the fact that the #5 team had now taken the championship points lead. “We couldn’t have asked for much more this weekend,” Thong admitted afterwards. “Our experience at Shanghai I am sure helped to set the car up for the conditions, but the team made some great choices - especially with tyres in that opening race, and we were able to make the most of it. The final event of the 2017 Blancpain GT Series Asia will see Thong and Lee at the new Zhejiang International Circuit on 6-8 October September, a venue where just a week before Thong will compete in the final round of the Audi R8 LMS Cup in which the 21-year old is sitting fifth in points and looking to close out his first full season with victory. Heading into the penultimate event of the 2017 Audi R8 LMS Cup at Shanghai International Circuit in China, Shaun Thong was staring down the barrel of an opportunity to move into a championship podium position, having come into the round within striking distance of second-placed Alex Yoong, his Phoenix Racing Asia team-mate.Ultimately the weekend - which saw the Audi TEDA Racing driver assisting Lim Keong Wee with his return to the Cup, subbing for team-boss Marchy Lee in the Audi Hong Kong entry - would deliver much behind the scenes work for the 21-year old, who managed to maintain his championship position after two strong Cup performances which delivered two finishes inside the top five. Conditions had been changeable throughout the opening 13-lap race, whilst in the second race, contact with team-mate Alex Yoong had an affect on Thong’s overall performance, forcing him into points conservation mode ahead of the final event of the season in early-October. “We didn’t quite have the performance in qualifying we were hoping for, so that put us a little bit further back than I would have liked to be,” Thong explained. “I qualified quicker than points leader Alessio Picariello to start alongside him, and I was actually up to fourth pretty quickly before it got a little ugly mid-pack over the opening laps. I was still carrying success ballast from finishing on the podium in South Korea, and that was a little challenging as the conditions became slipperier mid race. Second qualifying would net Thong a second row starting position, three tenths slower than pole-sitting Belgian Dries Vanthoor and alongside Picariello. 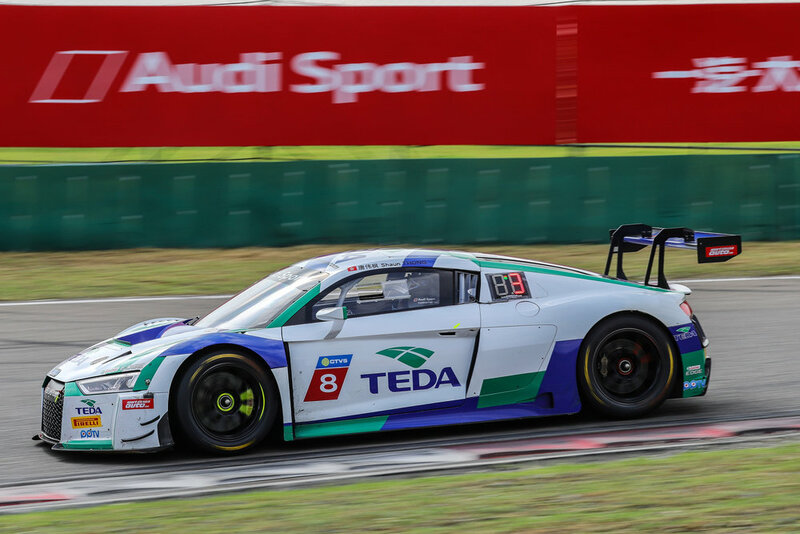 A strong start was thwarted by action ahead of him, but very quickly the #8 TEDA Racing Audi was locked in a battle for a podium finish before coming into contact with Yoong in a four-way fight for third. “Things were going pretty well, but the car setup wasn’t where it needed to be, so I just couldn’t break away from Mitch (Gilbert) and Alex (Yoong), and that meant we couldn’t escape what was probably inevitable contact,” Thong admitted. Despite the setback, Thong was able to regain the position just half a lap later, holding the three-time Cup champion all the way to the chequered flag to claim a fourth placed finish behind newly crowned champion Picariello, Franky Cheng and Dries Vanthoor. “Congratulations to Alessio for winning the championship, he put together an almost perfect season and proved the value of qualifying at the front of the field because once away from the pack, you’re relatively safe,” Thong admitted. “When you start mid pack, it’s more of a risk because the cars are so closely matched, and when you’re looking for mere inches under brakes and in cornering, you can tear up your tyres pretty quickly too, so that can have an affect on your ability to move forward. “We’re still in the championship hunt for a podium position, so all is not lost, and I’m still fifth in points and just seven points behind Alex (Yoong) who is the outgoing champion, and 16 points from second. For Thong though his next commitment will be back alongside team-mate Marchy Lee in the Blancpain GT Series Asia as that championship turns to Shanghai on 22-24 September for the penultimate round of the year, ahead of the final event of the 2017 Audi R8 LMS Cup at Zhejiang on 7-8 October. Hong Kong’s Shaun Thong again proved his mettle against some of the best GT3 drivers in the world to claim another strong podium in Blancpain GT Series Asia to firm up second place in the championship alongside team-mate and Phoenix Racing Asia team-boss Marchy Lee at Fuji in Japan. Coming into the second Japanese event of the season, Thong and Lee were classified second in points thanks to their round five victory in Suzuka, and with past experience at the iconic Fuji Speedway circuit, they were looking for a solid result to press home their advantage, and from opening practice, the two Hong Kong stars were right in the mix. Against the strongest field of the year - an impressive 34 cars - both Thong and Lee were quick in the three 45-minute practice sessions, inside the top ten in all legs, before they improved to be amongst the fastest in qualifying, Lee second by just a tenth of a second, whilst Thong went four tenths faster in his session to claim a third row start immediately behind team-mate Alex Yoong who was just a tenth of a second quicker. Sadly - despite being one of the favourites for the opening 60-minute race on Saturday - things were over almost as quickly as they had begun, with Lee forced off the circuit on the exit of turn one, in a four-wide battle for the lead. On the outside of pole-sitter Nick Foster, Lee was swamped by the Rino Mastronardi Ferrari on the outside, whilst inside the trio, local star Kei Cozzolino in the Lamborghini took a big dive up the inside to make it four wide as they turned into the corner. Contact was inevitable as the four cars washed wide on the exit, contact which saw damage to the #5 Audi Hong Kong entry forcing Lee down pit lane at the end of the lap. The experienced Phoenix Racing Asia team worked feverishly to limit Lee’s lost time, changing a damaged tyre and sending the experienced GT3 campaigner back out onto the circuit having remained on the lead lap. Lee charged across his remaining laps, pitting at the mid-point of the session from 14th position, Thong rejoining towards the tail of the field before mounting a charge through the pack back to 17th having clawed back 20 seconds on the race leader as one of the fastest cars on the circuit across the closing 30-minutes of the race. For Sunday’s second race, Thong would start from the third row of the grid, and very quickly he showed the kind of pace that has made the #5 Audi Hong Kong entry one of the most feared in the championship, moving forward to tuck under the rear wing of former F1 driver Alex Yoong in the #6 Phoenix Racing Asia entry in a battle for third. Ultimately Thong would pit from P4, handing Lee the car in a position to challenge the leaders, and that’s what the team leader did across the closing laps, although his chance to go for the win was thwarted by an attack from Ferrari’s Rino Mastronardi in the closing stages. Having held the Ferrari out for much of his stint, Lee was forced to focus on protecting his position, which ultimately stopped him moving forward on the race leader - who was also the team’s championship rival - in the end though, a deep braking duel allowed the Ferrari through for second on the penultimate lap, Lee securing third for more valuable championship points. “It was great to be back on the podium again, but we should have been able to achieve a much better result here at Fuji,” a reflective Shaun Thong admitted post-event. “The team had improved the car through practice and we knew we had the pace to battle the points leader and be in a position for the win in race one, but all that ended in the first corner. There was nothing Marchy could do, he was the meat in the sandwich and came off second-best. The fact that we were both amongst the top three fastest cars across the remainder of the race - even against the likes of Max Buhk who is one of the stars in Europe - shows that we had the pace to win. The penultimate event of the 2017 Blancpain GT Series Asia will see Thong and Lee at Shanghai International Circuit on 23-24 September, a venue where two weeks before, Thong will compete against his team-mate in the fourth event of the Audi R8 LMS Cup in which the 21-year old is sitting fifth in points and looking for his first win of the season. Audi Hong Kong’s Shaun Thong claimed back-to-back podium finishes in South Korea during the third stop of the Audi R8 LMS Cup season, closing the gap to his rivals in the battle for a championship podium, the 21-year old again one of the most prolific over-takers on a weekend where weather played an integral part. For the Phoenix Racing Asia run team, the big focus was on improving the team’s performance on the new for 2017 Pirelli control tyre, something Thong and team-mates Alex Yoong and Marchy Lee had admitted was an Achilles’ heel for the three drivers across the early rounds of the season, but all that seemed to be resolved in South Korea with Yoong and Thong amongst the fastest in official practice. They looked set to convert that strong practice pace in qualifying to start towards the front of the field, but drizzling rain ahead of the session caused havoc in pit lane. All teams started the 15-minute session on slick tyres, and some made a vital call just minutes in to come into pit lane and change to wet weather tyres as the clock ticked down to zero. Any team that hesitated ultimately struggled to put a lap time together, whilst those who stopped were able to clock one or two vital laps before the end of the session, and it was those teams that would start at the front of the field. Sadly for Thong, he didn’t make pit lane quickly enough, the team taking a bet each way with Yoong in to make a change whilst Thong’s team felt the track may dry and that he’d be in the box seat for a front row start. Off the sixth row of the grid, Thong had a mountain of work ahead of him for the opening race, whilst team-mate Yoong would start the fifth round from third, a position which very quickly became first in the early laps. Conditions were challenging for all the drivers across the damp opening laps, with all cars starting on slick tyres, Thong amongst the most impressive, charging to fourth on the opening lap, then third very soon after, overtaking championship points leader Alessio Picariello in the process. Reigning champion Alex Yoong in the end completed the round with his second win of the year, whilst Thong impressively held out Picariello over the closing laps to take his second podium finish of the year. In a new development for the Cup, teams were able to complete a second full qualifying session on Sunday morning to set the grid for the standing start second race of the weekend. Again Thong was amongst the fastest drivers on track, at one stage sitting on the front row, but in the dying seconds of the 15-minute session, Mitch Gilbert and Franky Cheng were able to leap-frog the #8 Audi TEDA Racing Team entry, forcing Thong back down to fourth. Off the standing start Thong attacked strongly to be in the mix going into the first two left handers, quickly working his way past pole-sitter Gilbert to be third, a position he would hold to the flag despite carrying the extra 20-kilograms of success ballast he received as a result of his round five podium. Ultimately the round would be won by points leader Alessio Picariello - who extended his advantage over the field - but for Thong, the result moved the Hong Kong-based driver right into contention for second in points and he now sits just eight points behind Gilbert who is second, and just a single point behind two-time 2017 winner, Alex Yoong in fourth. “I’m really pleased. I haven’t had such a smooth weekend before in the Cup,” Thong reflected. “My start was great. It was only my second time with success ballast. I was surprised how well the car handled, even with the extra weight. It was a good weekend, but it’s a bit frustrating still to be fifth in the points. For Thong, his next commitment will be back alongside team-mate Marchy Lee in the Blancpain GT Series Asia as that championship begins the second half of the season at Fuji in Japan on 19-20 August, whilst the penultimate round of the Audi R8 LMS Cup will come at Shanghai just three weeks later. Motorsport can be such a cruel endeavor, often forcing drivers to experience the full spectrum of emotions in one weekend.. So the story of Shaun Thong’s return to Japan’s iconic Suzuka circuit for the third stop of the 2017 Blancpain GT Series Asia program would go after starting his Japanese journey with a commanding victory on Saturday to share the championship points lead with team-mate Marchy Lee. Ultimately it would be mother nature who would stall the forward progress of the Audi Hong Kong team, in a race impacted by safety car interventions and off track excursions, one of which forced a tyre failure on the #5 car whilst Thong was comfortably inside the top ten, dropping the 21-year old down more than a lap on the race leaders prior to his compulsory mid-race pit stop. From there team-mate Marchy Lee charged across the closing laps, the Hong Kong veteran often the fastest car on the circuit in the challenging and slippery conditions to recover the lost lap, and with it, regain 12 positions after Thong’s off-track incident. “Once the rain started to fall on the grid, we knew we’d be in for a tough time.” Thong admitted post-race. “I was able to hang on to our starting position in seventh place off the start, before the first safety car intervention. “After that I got caught up in someone else’s accident which dropped me back a bit, but pretty quickly I was up to fifth before the full course yellow flag for another crash. From there we circulated at around 80kph until they finally waved the green flags halfway around the lap, but some drivers missed it and I caught one of the Porsches still traveling slowly around a blind corner and had to take evasive action. “I managed to only lose one spot after going off the circuit, but was then swamped by two Lamborghini’s coming into the chicane. They closed in deep under brakes, and couldn’t pull up, so we all had a bit of contact which carried on all the way down the main straight to turn one where I got a light tag in the braking zone which spun me off the track. For Thong his busy 2017 schedule continues, the 21-year old provided a last-minute call up to join his 17 year old brother Jasper in a two-car Phoenix Racing Asia TCR assault on the Bangsaen Grand Prix in just under a week, the pair looking to consolidate the team’s championship position on the beachside street circuit. Meanwhile, rounds seven and eight of the 2017 Blancpain GT Series Asia will see a return to Japan, with a visit to one of Japan’s other historically significant circuits, Fuji International Speedway on 19-20 August. Like many of his rivals, Audi Hong Kong’s Shaun Thong came into the second event of the 2017 Audi R8 LMS Cup season at Suzuka International Circuit - the home of the Japanese Formula One Grand Prix - with an appreciation for the history that surrounds the iconic venue, and just like his rivals, he too was faced to contend with what became a very challenging weekend. Considered to be one of the few surviving ‘old school’ Formula One venues, Suzuka - which first opened in 1962 - provides a challenging mix of corners, with a narrow twisting figure-eight layout that offers little rest for the drivers, but despite the nature of the circuit, Shaun Thong left the event with a race lap record to his name, and two top six finishes to keep him well in the title hunt after four of ten rounds. Things started strongly for the 21-year old from Hong Kong, Thong second fastest in the two official 60-minute practice sessions, even topping Phoenix Racing Asia team-mate Alex Yoong - a veteran of two Formula One starts at Suzuka - and points leader Alessio Picariello to be considered one of the favourites ahead of qualifying. “It’s funny, but the nature of these older circuits which are so narrow and unforgiving, is something I love, and I’m always comfortable pushing to the limit - it was the same at the Nurburgring,” Thong explained. Sadly both Thong and Phoenix Racing Asia team-mate Marchy Lee were unable to extract the maximum from their tyres in the qualifying sessions, pushing them both back towards the tail of the top ten, but mere tenths off a front row start - it was that close. Just a few hours after qualifying, Thong lined up for the first race at Suzuka, absorbing some of the atmosphere as he prepared for the coming 12-lap race. A strong start saw the 21-year old battling behind international guest driver Stephane Richelmi and alongside China’s Franky Cheng and team-mate Alex Yoong into turn one. He held his ground and ultimately worked his way past Cheng and Yoong to be fourth at the flag in a race where very few overtaking moves were made, the bulk of the position changes as a result of retirements during the race. “It wasn’t exactly what I was hoping for, but I could do nothing more than push, there just wasn’t a way past Richelimi that would have been a safe move - as it was, he couldn’t get past Mitch Gilbert so we pretty much had to just hold station until the chequered flag,” Thong explained. Starting from the fourth row for the standing start in race two, Thong made a great getaway, holding position into turn one, but by turn three, he - like those around him - were faced with a rapidly slowing Alex Yoong in the middle of the esses, the reigning champion suffering a broken right rear wheel as the result of contact on the race into turn one. The melee that ensued saw cars off in different directions, and drama for Richelmi soon after as he suffered his own failure, forcing Thong to take avoiding action which dropped him to the tail of the top ten. The Audi TEDA Racing driver though calmly refocused and set about regaining his lost positions, locking in on the tail of Phoenix Racing Asia team-boss Marchy Lee who was amongst the fastest drivers in the field, the two breaching an almost five second gap to the battle for the lead across the final laps, to finish right on the tail of fourth-placed Martin Rump, Thong in the process setting a new Audi R8 LMS Cup lap record for Suzuka. For Thong, his next commitment will be back at Suzuka where he will join forces once more with Marchy Lee for the third event of Blancpain GT Series Asia on 24-25 June, where they will be looking to continue the form that has them sitting second in the overall standings after four of 12 races. The Audi Hong Kong team of Shaun Thong and Marchy Lee were full of confidence coming into the second event of 2017 Blancpain GT Series Asia, the Audi pair had claimed their maiden GT Asia Series race win in 2016 at Buriram’s Chang International Circuit, and they were third in the standings coming into the Thai event after a strong start to the season in Malaysia. Practice saw mixed results, but ahead of qualifying the Phoenix Racing Asia team had them within reach of the leaders, although qualifying saw them both just ninth fastest in their respective groups. That didn’t deter them though with the brilliant silver and gold #5 Audi charging to second in both 60-minute races to elevate them to second in the championship race a third of the way into the season, just two points off the title lead! Marchy Lee started the opening race, avoiding some early carnage at the front of the field to move forward with some dramatic overtaking moves to hand Thong the car during the compulsory mid-race pit stop in third position. Thong rejoined in fifth and quickly worked his way back into the top three, the 21-year old amongst the fastest drivers on the circuit to cross the line within sight of the leaders. Ultimately he and Lee crossed the line in third place, but post-race investigations saw the second placed machine handed a 30-second penalty, giving the Audi Hong Kong team second overall and a share of the championship points lead. Whilst Lee’s moves early were impressive, Thong’s pace was outstanding, the 21-year old amongst the fastest drivers on track, and consistently amongst the fastest Audi drivers as he weathered the ongoing storm from Phoenix Racing Asia team-mate - three-time Audi R8 LMS Cup champion Alex Yoong. Thong’s pace was again impressive during the second event of the weekend, working his way up to the top four ahead of the compulsory pit stop, his lap times even more impressive when you consider he was running on the same tyres on which he finished the opening race, his best lap - 1:35.348, mere hundredths slower than team-mate Marchy Lee’s best of 1:35.256 on new tyres.. Ultimately Lee was able to chase down Audi Cup rival Jeffrey Lee and Ferrari’s Jiang Xin late in the race to cross the line in second position despite the late race attention of Jeffrey Lee’s team-mate, 2017 Audi Cup points leader Alessio Picariello. The Thailand result now classifies the #5 Audi Hong Kong team second in points, just two points down on Englishman Hunter Abbot after four of 12 events with Suzuka in Japan the next event on the calendar in five week’s time. “It’s a great result, but importantly we grabbed valuable championship points and at the same time, we were the leading Audi in both races here in Thailand,” Thong said. “I am delighted to wrap up the weekend with two second placed finishes, but for me I feel I performed very well and drove two very good stints against some tough opposition - Alex Yoong in race one, and Alessio Picariello in race two - in both cases neither of them were able to make it past. “It was also nice to be amongst the fastest drivers on the circuit in race two despite being on old tyres, when many around me were on new rubber. The third event of Blancpain GT Series Asia will be at the iconic Japanese Suzuka circuit on 24-25 June, with Thong and Lee’s next commitment also coming at Suzuka, on 10-11 June for the second event of the 2017 Audi R8 LMS Cup. Just days out from the third event on the 2017 TCR Asia Series calendar, Shaun Thong was invited to join the Audi Hong Kong team behind the wheel of the #3 Audi RS3 LMS TCR to support the title aspirations of younger brother Jasper. Having never competed in the 2-litre turbo, front-wheel-drive TCR touring car previously, Thong was on a steep learning curve, but despite that, and the constantly changing conditions, the 21-year old claimed his third podium for the season in his third championship start to lay solid foundations for a strong season ahead. “I came into this weekend with high hopes and I think we showed plenty of promise during two days of open practice in the dry which allowed me to run consistently at the top of the timesheets,” Thong explained. “Once the rain started though as qualifying arrived, we weren’t quite as competitive due to the characteristics of the gearbox mapping. “In the opening dry race - my first standing start in the RS3 - I didn’t get away as cleanly as I would have liked and dropped back a little before mounting a recovery to latch onto the tail of the top two, which became the leader after Jasper was unfortunately given a drive-through penalty. “I waited then to attack for the lead and allowed my brakes to cool and I got the timing almost perfect to take the lead into turn nine, but I was on the outside which lined me up for the next corner for which I was on the inside. Sadly I never got that far as the other driver took us both out into the gravel and I was unable to complete the race. Mother nature was the big winner in race two, with light rain falling as the cars went out onto the circuit, yet despite a 5-minute extension to the start of the race to let the weather settle in, all but one team remained on slick tyres, but as the field rolled around to prepare for the start, the heavens opened again, and Thong quickly dived into pit lane to change, whilst others started on their slick Michelins. Ultimately the wet tyres were the only choice and eventually every remaining car on track pulled in to pit lane, but by that stage the one team who had made the change was more than half a lap ahead. Shaun Thong was consistently the fastest driver on the circuit, hauling in the leaders to cross the line third just 13-seconds down but only seven seconds from second, but there just weren’t enough laps left to make it to the top step of the podium. For Thong, his focus now returns to GT3 competition, with the second event of the 2017 Blancpain GT Series Asia at Chang International Circuit in Thailand this weekend, the scene of his Audi Hong Kong victory in the 2016 GT Asia Series alongside Marchy Lee, the two starting amongst the favourites for victory. “It feels fantastic to be back racing in Buriram again with Blancpain GT Series Asia - I have good experiences and memories from this circuit as I won round three of GT Asia there in 2016, and also claimed a podium finish in the Asian Le Mans LMP3 category. Audi Hong Kong’s Shaun Thong made his full-time debut in the Audi R8 LMS Cup at Malaysia’s Sepang circuit and immediately made his presence felt, the new pilot of the Audi TEDA Racing Team R8 making the podium in the maiden race of the season, before backing up to leave the first event of the year in fifth place in the outright standings. Taking the wheel of the #8 Audi with the livery that was behind Alex Yoong’s three championship titles added a little bit more attention to the 21-year old’s first full season in ‘the Cup’ but reigning GT Asia Series Pro-Am Cup champion Thong took it all in his stride, and was looking forward to what would be his fifth event in the championship. “I’m honoured to be able to campaign a car with the livery that wore the coveted #1 over recent seasons, but also to represent Audi Hong Kong as we enter the sixth season of the Audi R8 LMS Cup,” Thong admitted. Quick through unofficial practice, Thong was able to carry that pace into the official sessions but admitted he was a little off in opening qualifying, despite being just half a second from pole position, and only five one thousandths of a second off a second row start. He held his ground off the rolling start for the opening round of the season, and spent the opening stanza of the race monstering Phoenix Racing Asia team-mate and three-time champion Alex Yoong, even audaciously flashing his lights at the former F1 driver to let him know he was there. Ultimately the move paid off, Yoong running wide and off the circuit, before rejoining with an airborne leap back onto the circuit which forced the local star into a spin, allowing Thong through the fourth. Very quickly that turned into third as his Blancpain GT Series Asia rival Mitch Gilbert slowed dramatically with a driveshaft issue, the Hong Kong driver moving into third place to open his 2017 ledger with a third placed finish. Sunday’s second race too saw plenty of pace from the young Audi Hong Kong driver where he finished behind team-mate and mentor Marchy Lee, but like Lee, was unable to achieve the best from his new Pirelli tyres, one of the big changes for the 2017 Cup season. Despite the challenge, Thong was typically upbeat about the result and his points haul which sees him fifth in the outright standings, and just ten points behind reigning champion Yoong who holds down second place overall. “It has been a positive start to the Audi R8 LMS Cup season with a podium finish.” Thong admitted. “It is my first full season in the Cup although I have been a guest driver a number of times in past seasons. “In race two I felt I could have done better with my push-to-pass* strategy but at the same time I feel that I am yet to fully understand the Pirelli tyres. I felt like they continued to change lap to lap, which hurt my race pace and stopped me from moving further up the order. For now Thong’s focus returns to the Blancpain GT Series Asia, with the second event of the new championship at the Chang International Circuit at Buririam in Thailand [20-21 May], a venue where he - and team-mate Marchy Lee - claimed their first win of the season in GT Asia last year, on their way to second outright in the championship, however in the interim, Thong has another guest appearance to make. Early April in Malaysia marked Shaun Thong’s return to competition at the wheel of an Audi R8 LMS GT3, the 21-year old GT Asia Series Pro-Am Cup champion rejoining Phoenix Racing Asia and Audi Hong Kong alongside experienced veteran Marchy Lee for the maiden season of the new Blancpain GT Series Asia. Fast in practice, the two Audi drivers were consistently amongst the top teams fighting for a podium result in Malaysia, and despite some tough challenges across the weekend, Thong delivered, taking he and Lee to two top five finishes including third in race two - in the process grabbing a share of third place in the championship points after two of 12 races. For season 2017, whilst the championship is different, so too is Shaun Thong’s direction, the Hong Kong resident turning full-time to motorsport as an official driver for Audi Hong Kong, his sole focus for the season - winning races - and Malaysia was the first step towards that goal. “I’ve been dreaming about the day I could become a full-time professional racing driver, and now that it’s happened, I’m so glad it is with Audi, and more importantly for me, Audi Hong Kong. “Blancpain GT Series Asia was a great platform for me to continue my second season with Phoenix Racing Asia, with a number of very experienced teams and factory drivers coming into the Series from Europe. “Almost immediately we were amongst the fastest cars in the field through unofficial testing and then when official practice began. As we did last year, Marchy qualified first, largely amongst the amateur drivers, whilst I went into the session which was largely filled with professional drivers. Eleventh place was okay, but as a racing driver, I wanted to be at the front of the field, that said if I’d qualified in the first group, I would have been P3..! “Because of our ranking as ‘silver’ drivers, our car - like that of the other silver-silver combinations - has to carry an extra 25-kilograms of ballast, so I was knocking myself out comparing my times with team-mate Alex Yoong, because he was able to brake another 10 metres later than me.. I thought he truly was a superman until the team reminded me I had that extra weight onboard and he didn’t [Yoong’s team is Pro-Am]. “Marchy started the first race and spent much of his stint behind the safety car, we pitted early to allow us to get out of some traffic that was holding Marchy up, and I managed to move forward pretty quickly. I had a fantastic battle with star European drivers like Jules Gounon, Raffaele Marciello and Jesse Krohn and was able to get past them and up to second at one point before fading to fifth at the end of the race as tyre wear slowed my pace. It was great to be able to fight with guys that have so much GT experience, it was a great test to see just how competitive we will be this season. “In race two I started, but got caught up in someone else’s accident at turn two which saw me forced off the circuit to avoid an incident - in these tough championships you cannot afford a DNF [did not finish] so I had to make sure first the car was safe and I had nowhere else to go. That dropped me back down the order, but I charged back to the top ten and handed the car to Marchy in a position to finish on the podium. “He had a great battle with the leaders and was second until the final two laps when another of the Audis was able to come through on fresher tyres and take the position away, but a third place in the first event of the year was a good result, and being third in the championship gives us a great foundation to attack for the top of the leaderboard over the next few events. For Shaun, his next commitment is rejoining Phoenix Racing Asia and Audi Hong Kong for the opening round of the 2017 Audi R8 LMS Cup where he will be once more at Sepang in Malaysia, and also back in a championship where his only start in 2016 netted him a podium finish! * teams are allocated four sets of new tyres for qualifying and the two 60-minute races, they can use them however they like however most try to allow three good sets for the two races, and have to then decide which race will see a change to new tyres for the second leg after the compulsory mid-race stop, and which race they will continue on the same tyres. Beijing, March 28, 2017 – Asia’s leading motorsport stars will be joined by some of the world’s hottest young talent in the Audi R8 LMS Cup’s sixth season. The one-make sprint series is set to cut a swathe across the region with 10 rounds of action across five race weekends. Series champion for the past three consecutive years, Alex Yoong, returns this year keeping up his record of competing in every Cup season thus far. 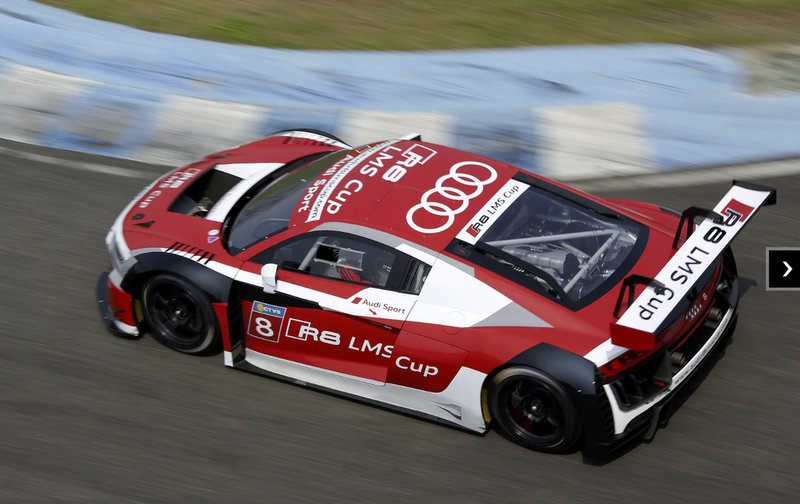 The former Formula One driver will compete for Team Audi R8 LMS Cup in the coming season. After a hugely impressive debut season, Alessio Picariello returns for another shot at a title he missed out on by a single point in 2016. The 23 year-old MGT Team by Absolute driver topped the championship on three occasions last season but missed out on the trophy after a dramatic season finale in Shanghai to finish second overall. Martin Rump of Champion Racing Team was another standout youngster from the Cup’s 2016 season. His four race victories were the most of any driver and the 20 year-old Estonian will be looking to build on his third place overall finish in the season ahead. Adding to the tussles between youth and experience that played out last season in the Cup will be Mitchell Gilbert, who joins for a debut season, and Shaun Thong, who will compete in his first full season. Gilbert, who will race with OD Racing, finished third overall in last year’s Porsche Carrera Cup Asia after recording two victories in the series. The 22 year-old Australian showed his potential to adapt quickly to the Audi GT3 car by clocking some impressive lap times in the Audi R8 LMS Cup’s pre-season test event in January. Shaun Thong, the Young Driver Development Programme participant for the Asian platform of Audi, will race a full Cup season for the first time with Audi TEDA Racing Team. As part of his development process the young Hong Kong native took part in the Audi Sport TT Cup in 2015 as well as being part of the first all-Asian team to enter the Nürburgring 24 Hours for the past two seasons, along with regular Audi R8 LMS Cup appearances. Audi R8 LMS Cup champion in 2012, Marchy Lee, will return this season as part of Team Audi Hong Kong. The co-owner of Cup service provider, Phoenix Racing Asia, is another who has appeared in every season of the sprint series since its launch. Cheng Congfu will also return in the FAW-VW Audi Racing Team car for 2017. The Chinese star closed out a challenging 2016 on a high with a top 10 finish in the FIA GT World Cup in Macau and will be looking to rediscover the form that saw him finish as Audi R8 LMS Cup runner-up in 2015. Korean star driver K.O. You returns for another season with the Cup as part of Team Audi Korea and will be looking to push on from his GT3 class victory alongside Alex Yoong and Marchy Lee in the finale of the Asian Le Mans Series earlier this year. More driver announcements will be made shortly. Launched alongside the Audi R8 LMS Cup in 2012, Audi Sport customer racing Asia builds on the global customer racing platform of Audi. In addition to the Audi R8 LMS Cup, in 2016, the programme supported entries into some of Asia’s and Europe’s leading motorsport series and events including the FIA GT World Cup at the Macau Grand Prix, the Sepang 12 Hours, GT Asia Series, and the Nürburgring 24 Hours. The Audi R8 LMS Cup’s sixth season will begin with Rounds 1 and 2 at the Sepang International Circuit on 6-7 May.